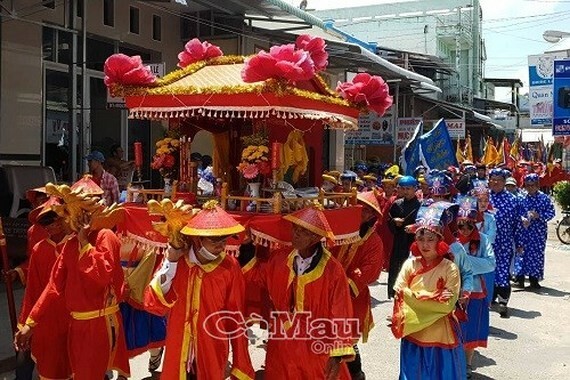 Thousands of locals and visitors yesterday converged in Song Doc Town in Ca Mau Province in the southern tip of Vietnam to take part in Nghinh Ong festival. Hundreds of fishing boats were decorated with flags and flower went out to sea and then the master prayed and read the prayers. At the Ca Ong (Whale) temple, the rituals will continue until midnight. 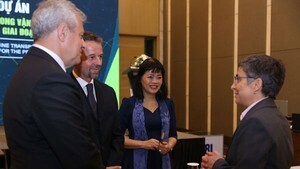 Visitors also enjoyed folk games , seafood cuisine contest, musical performance and watched Cai luong, literally meaning ‘reformed theater,’ normally highlights and praises Vietnamese moral values, either through stories about modern Vietnamese society or based on a tale, legend or historical story of the feudal system. Annually, locals in Song Doc Town organize Nghinh Ong festival solemnly because it is the biggest and most age-old festival in the Mekong delta province of Ca Mau associating with Ong worshipping of fishermen. “Ong” is Ong fish – the whale, which is always considered as a moral support of every sea journey.